Osama Bin Laden Anniversary: CIA 'Live Tweets' Raid As It Happened In 2011 : The Two-Way Osama bin Laden was killed in May 2011. The Internet isn't sure that reconstructing the raid through tweets was the best idea. However you remember that day, here are some things to keep in mind. Al-Qaida leader Osama bin Laden speaks to a selected group of reporters in the mountains of Helmand province in southern Afghanistan in 1998. It has been five years since he was killed in a U.S. raid in Pakistan. In May 2011, Osama bin Laden was killed by a team of Navy SEALs in Abbotabad, Pakistan. To mark five years since the death of the man whose terrorist network carried out the Sept. 11 attacks, the CIA posted a series of tweets re-creating the raid. "[Trapani] noted that the CIA has done postings to mark other historical events, including the Glomar operation, Argo, U-2 shootdown, and the evacuation of Saigon." "Of course there is relief that an evil mastermind cannot commit acts of terror in the future. But is it ever a good idea — from a spiritual or philosophical standpoint — to celebrate with beer and good cheer over the death of anyone, even a widely acknowledged monster?" He noted that a popular status on Facebook that day was a quote attributed to Mark Twain: "I've never wished a man dead, but I have read some obituaries with great pleasure." 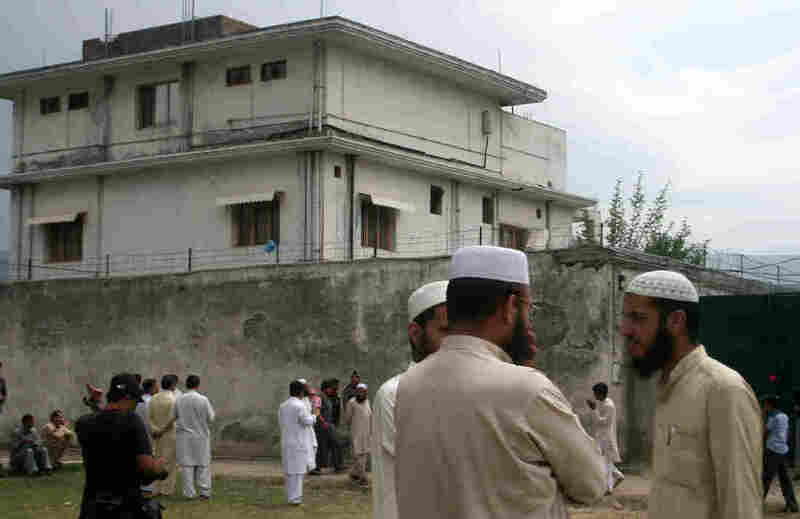 The raid, approved by U.S. officials on April 29, began in the early morning of May 2 in Pakistan (still the afternoon of May 1 on the U.S. East Coast). President Obama addressed the nation to announce the al-Qaida leader's death about 10 hours after the helicopters left Afghanistan bound for Pakistan. "A government official told reporters that the body of Osama Bin Laden was buried at sea from the deck of the USS Carl Vinson, an aircraft carrier, in the north Arabian Sea. The official said the body was washed in accordance to Islamic practices and a religious verse was read and translated into Arabic. The body was placed on a flat board and tipped." Journalist Peter Bergen outlined the search for bin Laden in his 2012 book, Manhunt. On Fresh Air, Bergen told Dave Davies that the U.S. used classic forms of human intelligence to zero in on bin Laden's location, tracking a Kuwaiti courier and watching the compound's clotheslines to figure out who was living there. The Senate Intelligence Committee has challenged the CIA's claim that enhanced interrogation techniques helped locate bin Laden, as The Two-Way has reported. Another fascinating aspect to all of this is the story of bin Laden himself and of the organization he built, al-Qaida. 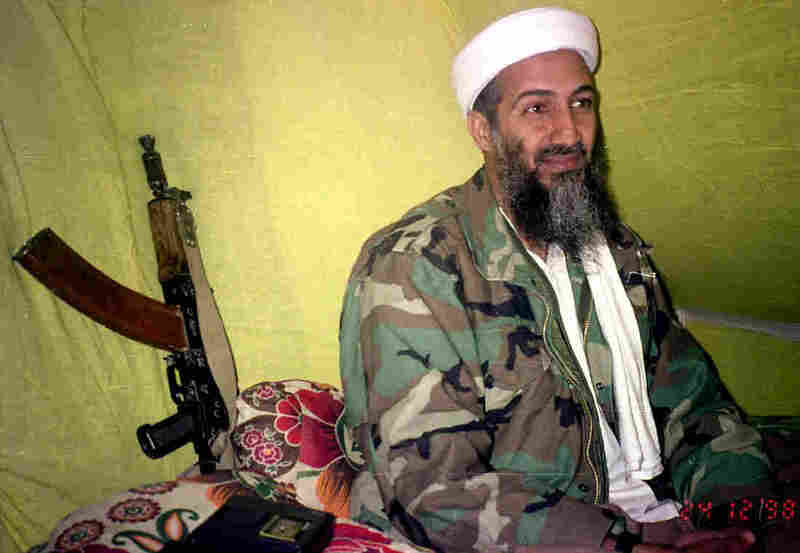 NPR's Mary Louise Kelly wrote a profile of how bin Laden went from "the pampered son of a Saudi millionaire to the world's most-wanted terrorist." Daniel Benjamin, then the State Department's point man on terrorism issues, told Mary Louise that bin Laden's success lay in casting his agenda as religious rather than political, and combining that with the fundraising skills to finance his goals. "So he really reshaped the struggle. He's managed to create both an authentic cause, an authentic ideology, and to find the means to carry it out," Benjamin said. "And I fear that the path that he hewed, he cut, is one that others are going to travel for some time to come." The question Mary Louise left us with back in 2011 was: What happens to the movement that Osama bin Laden helped create? NPR's Rachel Martin took up that question yesterday with Lawrence Wright of The New Yorker. Wright noted that al-Qaida's current leader, Ayman al-Zawahiri, "has none of the magnetism that bin Laden had." But he added: "The organization, though demoralized and splintered, is certainly not dead. And I think that's something that we should be aware of. It may be in competition with ISIS, but it hasn't gone away." Documents found in the 2011 operation show that bin Laden actually predicted the fissures between terrorist groups. "In the final years of his life, bin Laden expended a great deal of energy warning his followers not to establish an Islamic state too soon," Mary Louise reported this past March. "He believed it would prove impossible to defend and might end up destroying the movement he had helped found."